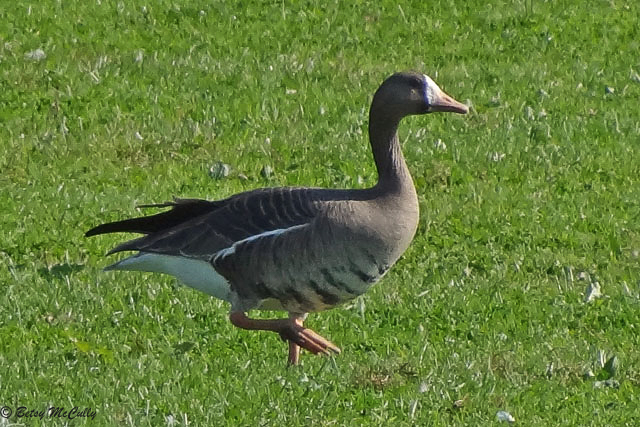 Greater White-fronted Goose (Anser albifrons). Wetlands, lakes, farm fields in winter. Winter stray. This one found with Canada geese on a Montauk ranch, Long Island.